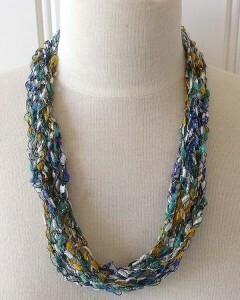 This City Life Necklace can be made as full or thin as you like. The necklace pictured above was made from a chain approximately 5 yards long then draped and tied into place. 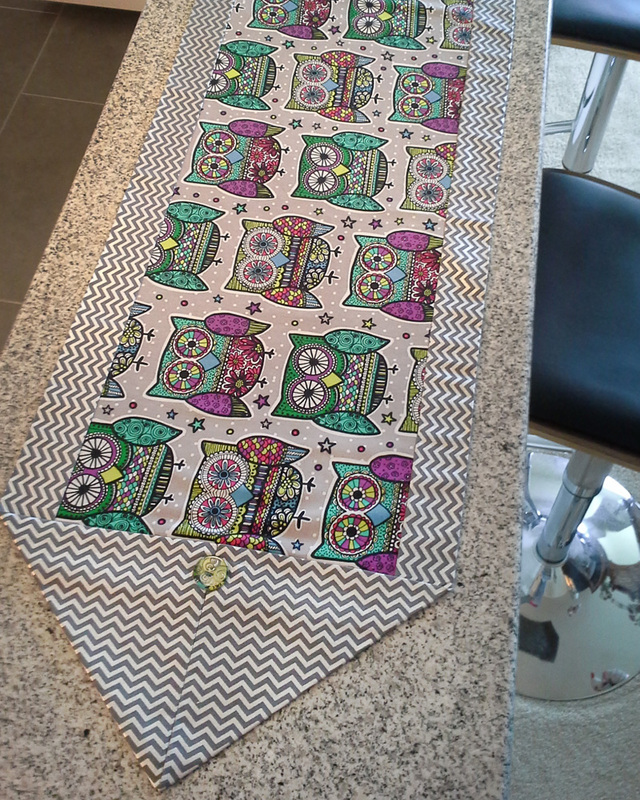 The fuller version, seen in the video below, was made by chaining an entire skein of of City Life yarn. 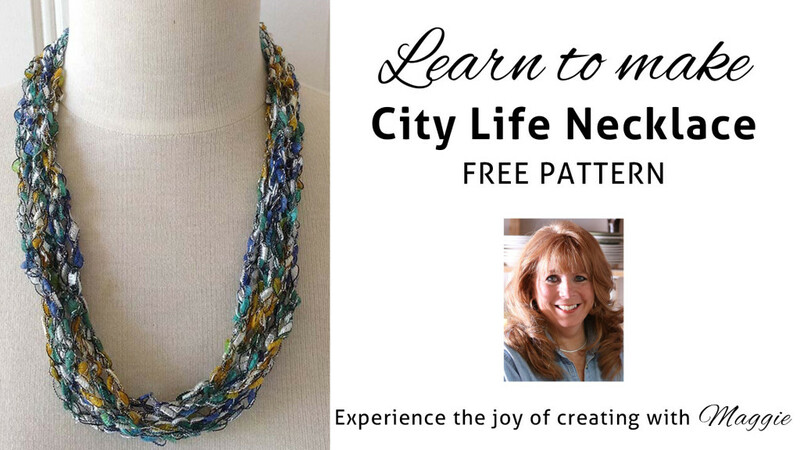 Click the photo for the City Life Necklace pattern. 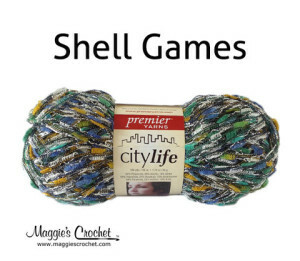 City Life yarn and a size I-9 hook were used for this project. It is a light-weight ladder yarn, and the multiple colors make a beautiful fashion piece.